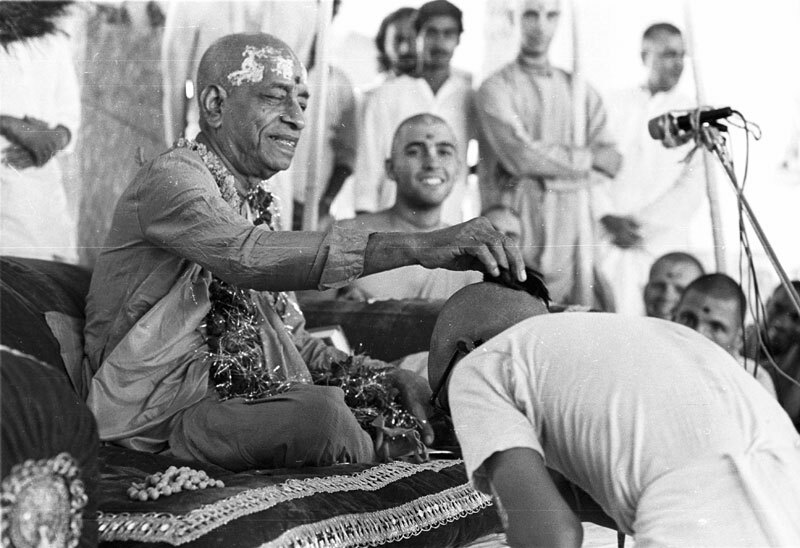 What is the meaning of Prabhupada ? I randomly opened Śrī Caitanya-caritāmṛta yesterday and this beautiful verse, with an enlightening purport by Srila Prabhupada, opened up. Q : What is the meaning of word Prabhupada ? The pure Vaiṣṇava is addressed as prabhu, and this address is an etiquette observed between Vaiṣṇavas. When many prabhus remain under the shelter of the lotus feet of another prabhu, the address Prabhupāda is given. Śrī Nityānanda Prabhu and Śrī Advaita Prabhu are also addressed as Prabhupāda. Śrī Caitanya Mahāprabhu, Śrī Advaita Prabhu and Śrī Nityānanda Prabhu are all viṣṇu-tattva, the Supreme Personality of Godhead, Lord Viṣṇu. Therefore all living entities are under Their lotus feet. Lord Viṣṇu is the eternal Lord of everyone, and the representative of Lord Viṣṇu is the Lord’s confidential servant. Such a person acts as the spiritual master for neophyte Vaiṣṇavas; therefore the spiritual master is as respectable as Śrī Kṛṣṇa Caitanya or Lord Viṣṇu Himself. For this reason the spiritual master is addressed as Oṁ Viṣṇupāda or Prabhupāda.